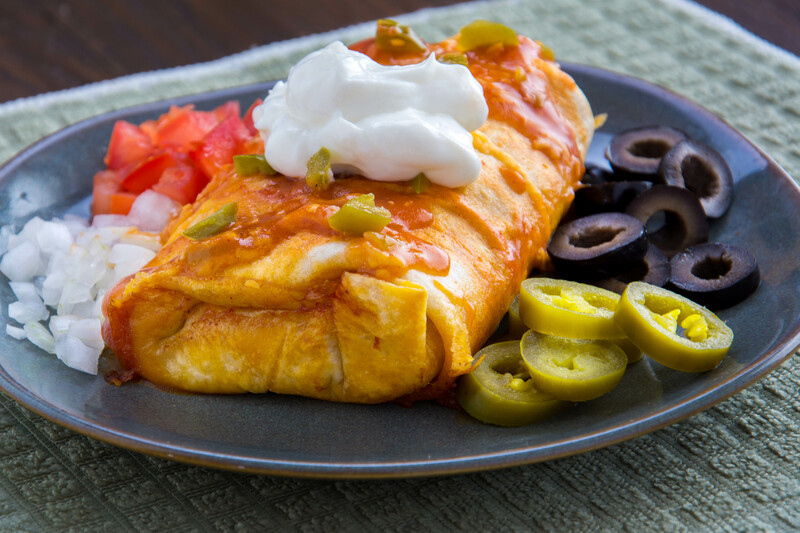 Here's an easier and more healthful version of the traditional fried chimichangas. Preheat oven to 400°F. Lightly coat 13” x 9” baking pan with cooking spray. Heat oil in large skillet over medium-high heat. Add chicken; cook for 8 to 10 minutes or until lightly browned and thoroughly cooked. Transfer chicken to plate. When cool enough to handle, cut into 1/2-inch pieces. Reserve 1 cup of enchilada sauce. Stir together remaining enchilada sauce, green chilies, 1-1/2 cups cheese, and cooked chicken in large bowl. For each chimi, spread 1/2 tablespoon butter on one side of tortilla. Place buttered-side down on plate. Spoon 1/2 cup of chicken mixture into center of tortilla. Fold sides of the tortilla over filling to meet in center, roll up from bottom. Place seam-side down in prepared pan. Repeat with remaining tortillas, butter, and chicken mixture. Pour reserved sauce over chimis. Cover pan with foil. Bake for 20 minutes. Remove foil and bake 15 more minutes or until heated through and edges of chimis begin to brown. Sprinkle with remaining 1/2 cup cheese during last 5 minutes of baking.